Freediving the MYTHS – 1.0 Breathing 100% Oxygen at depth after a Freedive. Consultation of the Myth Busting brain Trust is made up of many of the worlds top trainers & experts from various major Diving / Freediving agencies and educators. The views expressed here are of first hand experience, science, logic and plain old common sense. It is unfortunate that many practices in Freediving seem to go unchecked, unquestioned or challenged. In the sport of Freediving there is however some of the biggest egos on the planet, and considering there is no form of big dollar income professional Freediving competition series as of yet we can only guess it can be put down to “Look at me syndrome” or plain old hubris, therefore it is kind of understandable to see why someone may be reluctant to challenge the idea of a certain practice being inncorrect or dangerous, after all it takes alot of sand to challenge the ideals of your peers, a guru or perhaps a Freediving demi god! In my opinion Freediving is far to easy and far to much fun to be taken so seriously, akin to Surfing, many people need to chill and accept criticism, bend a little and be able to look outside the cult box, after-all when you look at the key subject matter for the Freediving Myth busting series it really is just common sense. Here you will find the gospel on the get up and go to in Freediving practices. We intend to break down the old school barriers and bust down the doors of Mythology in Freediving. Many of these myths are largely due to outdated or misunderstood information & techniques that can commonly become sheep trends & unfortunately almost always end in disaster or at best a whole lot of time wasting from newcomers who observe first hand these strange happenings then forever question anyone and everyone about such events. 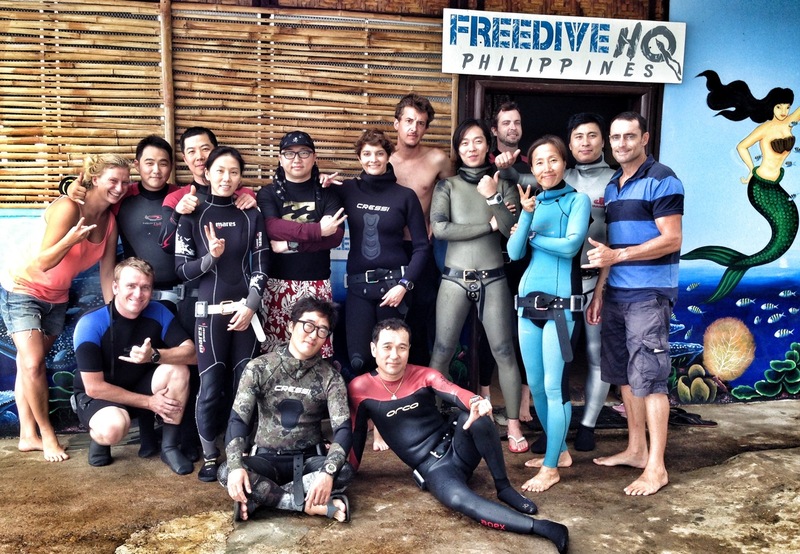 Keeping in mind Freediving really is just fun, easy, an adventure & most importantly anybody can do it successfully. Professional Big wave surfer Laird hamilton once said “It has to be fun, if a sport is not fun then whats the point”. “Freediving the MYTHS” 1.0 Breathing 100% Oxygen at depth after a Freedive. Who would have thought that in fact breathing Oxygen could be a bad thing? most Diving enthusiasts would be familiar with the maximum operating depth (MOD) of a mixture of gas, this is where the depth in relation to (ppO2) of the gas mix can exceed a safe limit and can turn deadly if not taken seriously, especially when we talk about 100% Oxygen. The practice of 100% Oxygen First Aid administration is well know in the Diving industry, from SCUBA beginner to advanced Tek Divers, the common safety message for Suspected Decompression sickness First Aid is breathing 100% 02 at the surface – But it is this next sentence which rings true and is the real take home message here (an injured diver should be transported as quickly as possible to a definitive treatment facility, during transport the use of 100% 02 is effective as First Aid). 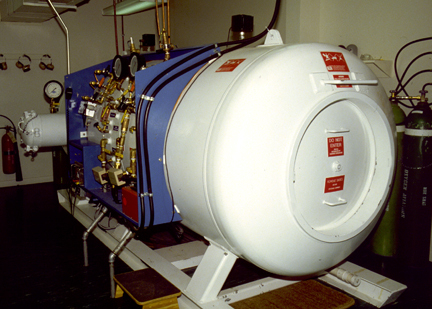 The administering of 100% 02 is FIRST AID, If a diver is injured / symptomatic then they must be transported to a chamber facility for assesment / re-compression therapy. So! what Myth do we find in Freediving about this? – What has been happening around the scene is the generation of the Myth that Breathing 100% 02 at depth after a Freedive is somehow a cure all for Freediving maladies, in theory a prophylaxis for DCS that was an apparent “possibility” during the last dive, Remember that if someone is in fact DCS symptomatic then they should be breathing on the surface 100% 02 on route to a professional treatment facility, not being encouraged to descend back underwater. These days we find an epidemic sheep trend of Freedivers self administering positive pressure oxygen therapy! This is a very serious practice, ironically it carries far more risk than the non existing possibility of the DCS symptoms which was the supposed reason for administering the %100 oxygen at depth in the first place! 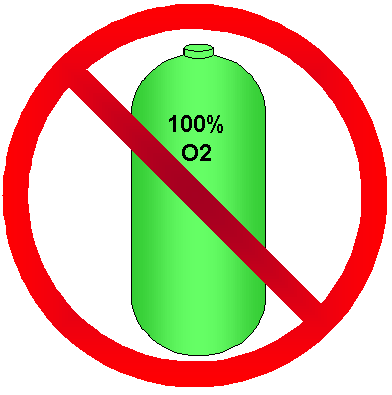 Without getting to deep into a theory lesson – %100 Oxygen / High partial pressures of Oxygen can be deadly, especially when breathed at depth by completely untrained people who have just expended a large amount of energy, (Ox tox – unconsciousness – seizures – drowning) are just some of the laundry list of dangers involved when untrained people are involved in breathing 100% 02 underwater. End Game: The fact is, Anyone offering 100% Oxygen underwater or self administering 100% Oxygen underwater as a prophylaxis in Freediving is frankly doing it wrong! They are endangering themselves and others. If yourself or someone you observe are DCS symptomatic (or other possible Freediving injury like Lung Squeeze etc), then you should be applying standard Diving / Freediving First Aid, Surface breathing 100% 02 on route to the medical experts, the last thing we should be doing is sending people back underwater, you simply do not have the training or knowhow to do so safely. The big question we need to ask is why on earth are some people out there self administering or offering 100% oxygen therapy underwater? The plain truth is that specialists train for many years to be able to successfully do just that, to speak directly we need to see a stop to this sheep trend before we see a death, 100% Oxygen is not a prophylaxis for Freediving maladies, It is a First Aid for use on route to medical Professionals.